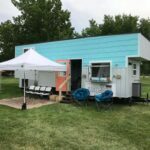 The Heritage is the debut tiny house built by Oliver Stankiewicz and Cera Bollo at Summit Tiny Homes. 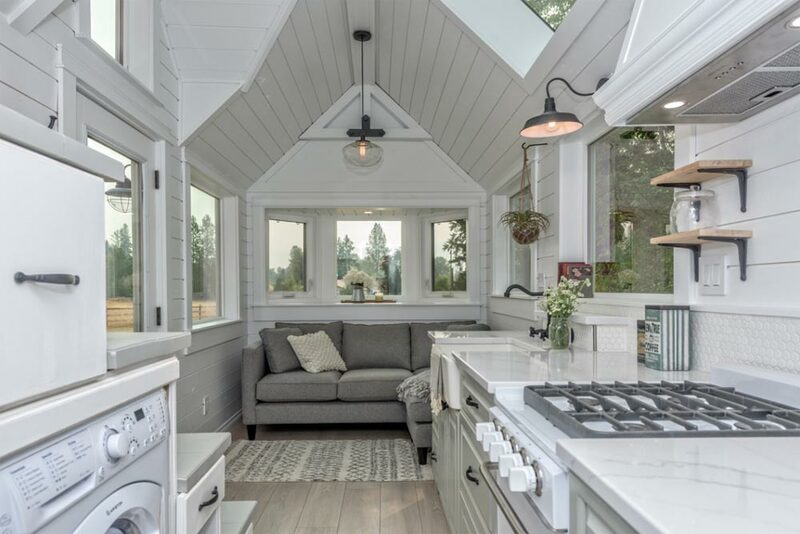 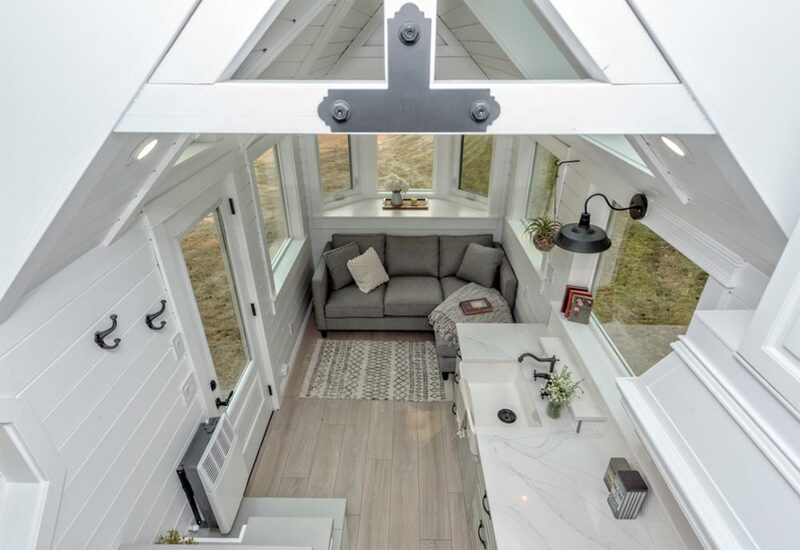 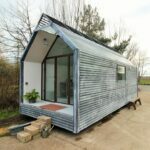 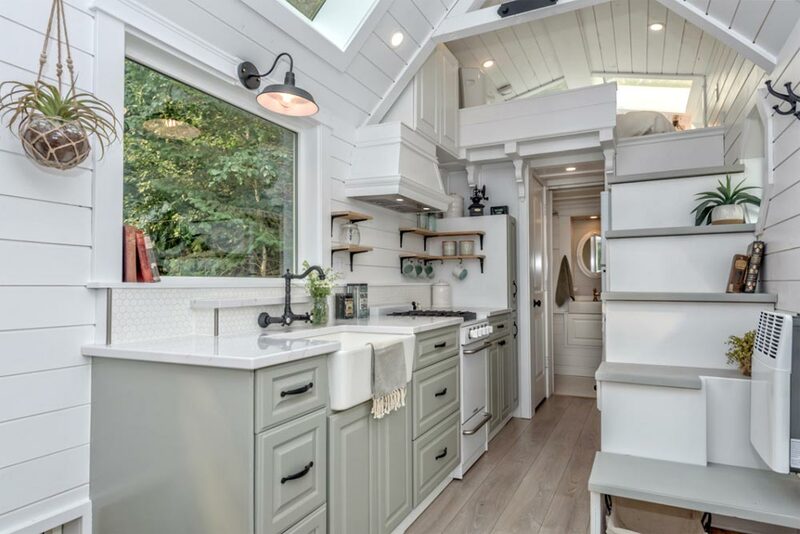 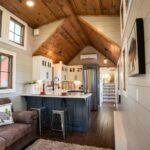 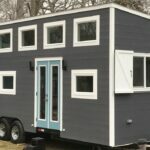 With 10 years of construction, design, and mechanical experience, the couple was able to design and build this beautifully detailed tiny house. 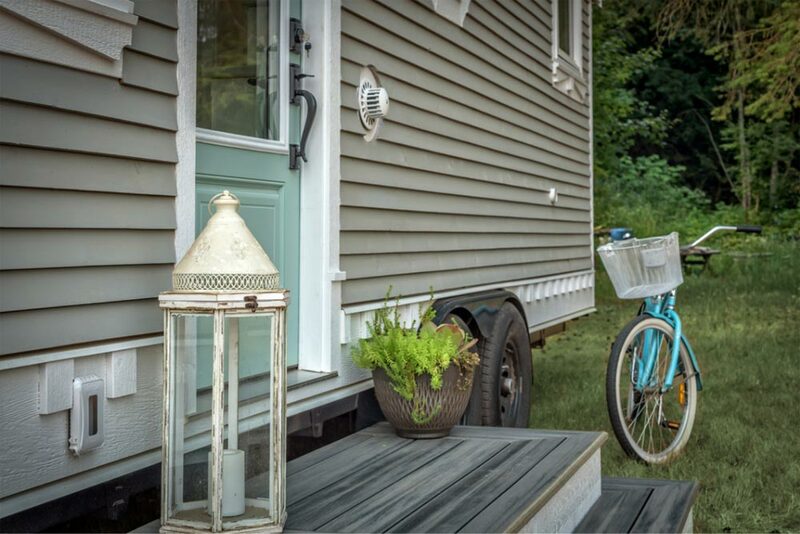 The Heritage was built on a 24′ trailer with a 2′ bay window that extends over the tongue. 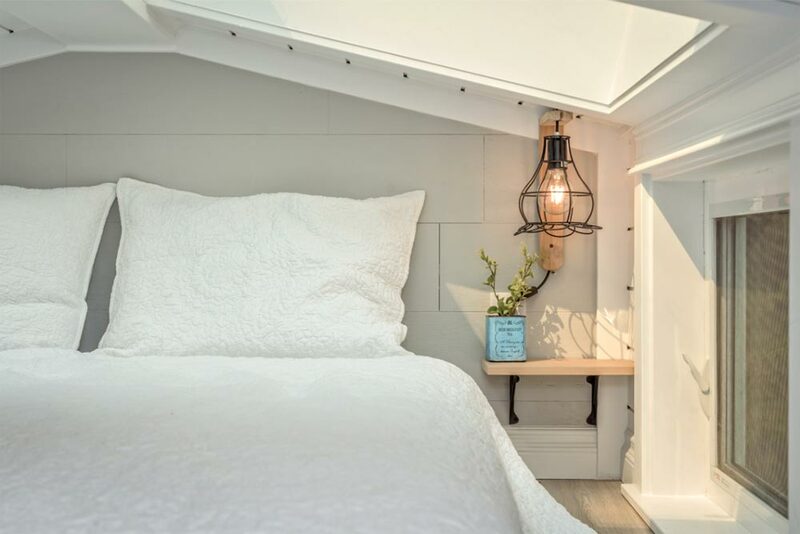 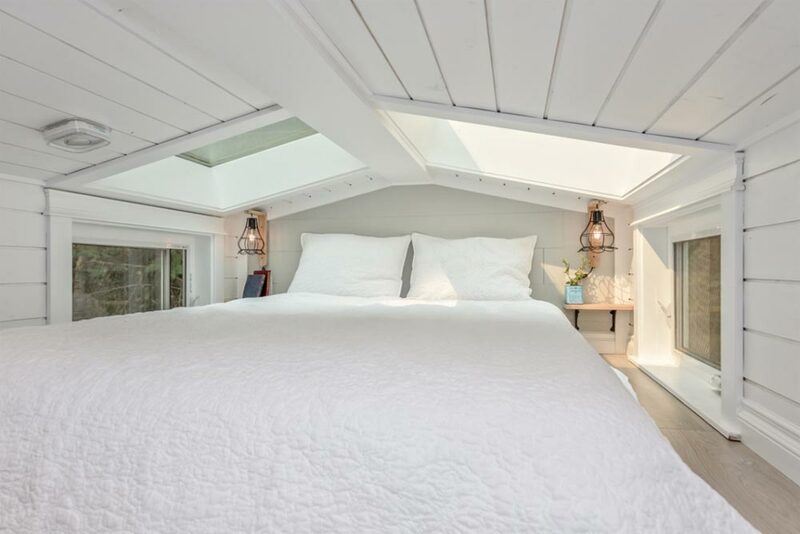 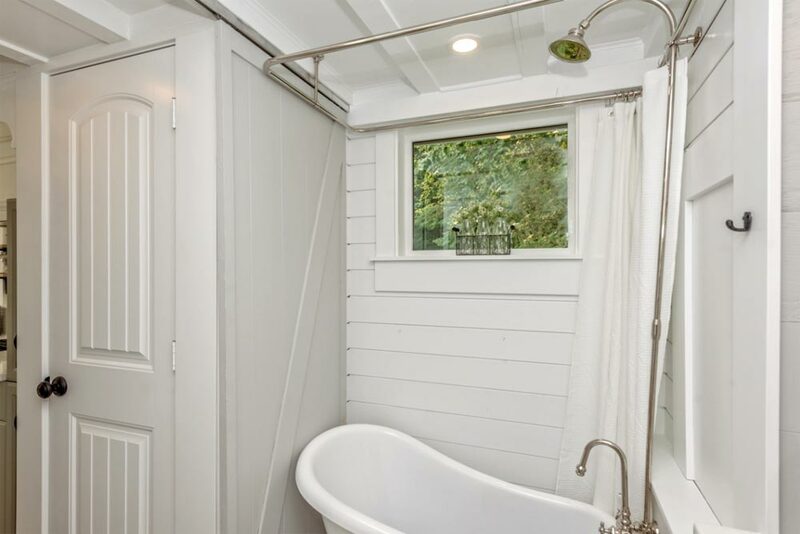 The Victorian style house features gray siding with detailed white trim, two giant skylights over the bedroom loft, and a mini claw foot bathtub. 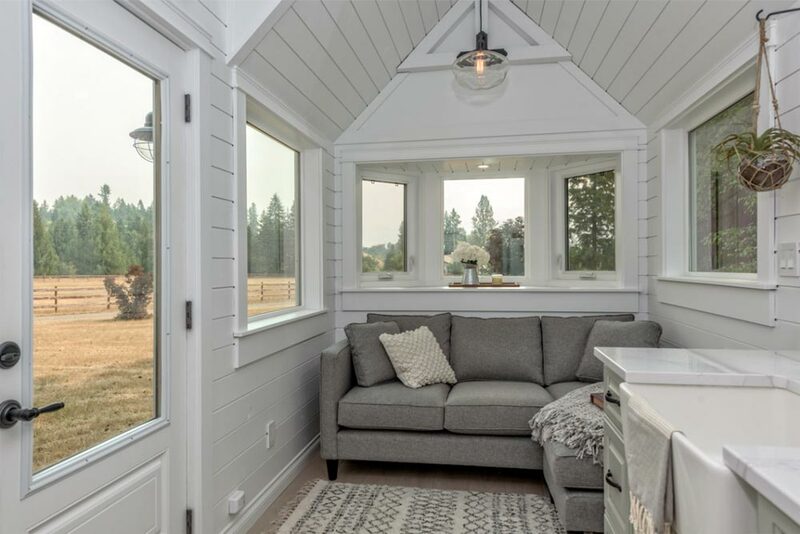 The living room is surrounded by windows, filling the area with natural light. 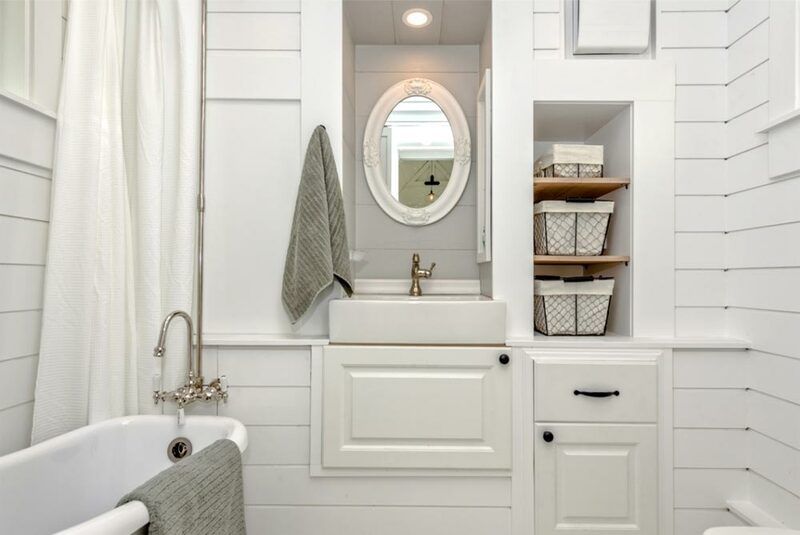 White and soft colors throughout the house create a spacious, bright interior. 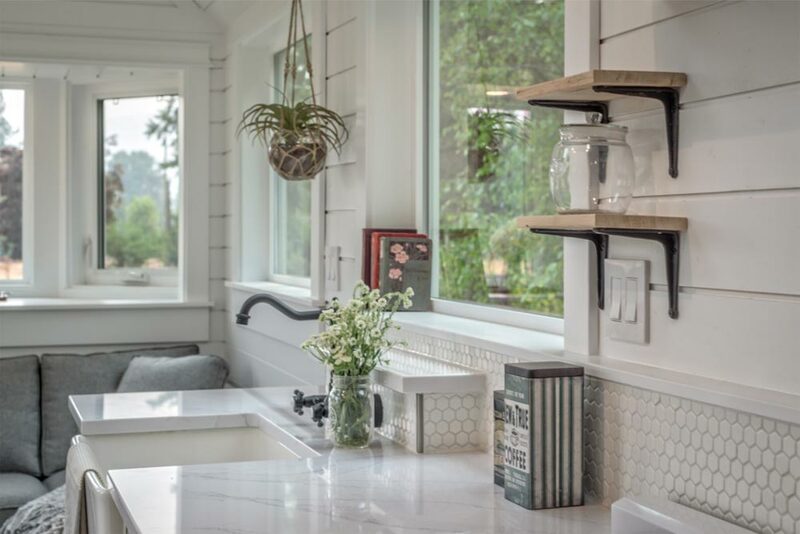 The kitchen include a farmhouse sink, gas stove, quartz counters, full size refrigerator, range hood, and pantry. 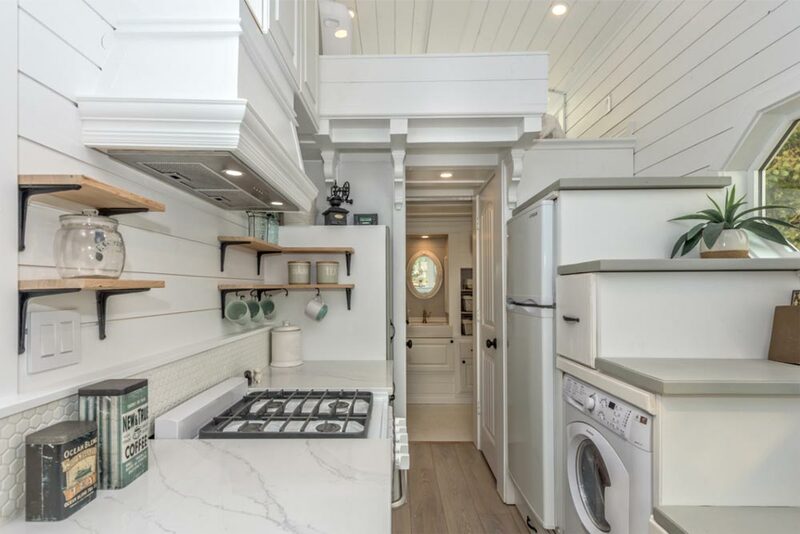 Two closets separate the kitchen from the bathroom. 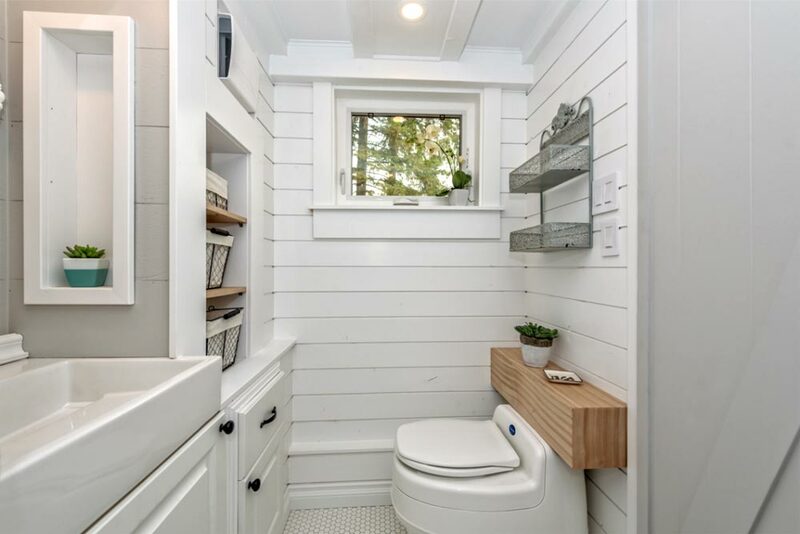 Along with the mini claw foot bathtub, the bathroom includes a bump out vanity and several storage options. 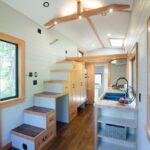 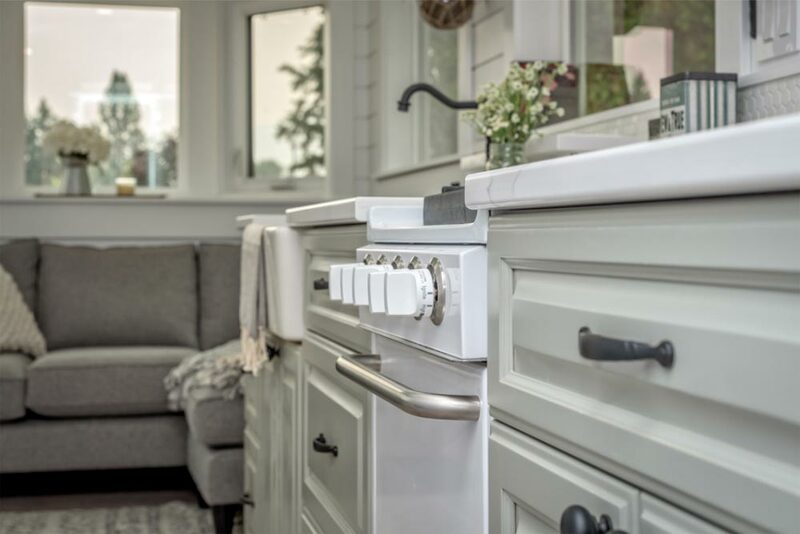 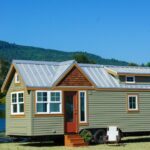 Summit Tiny Homes is located in Armstrong, British Columbia. 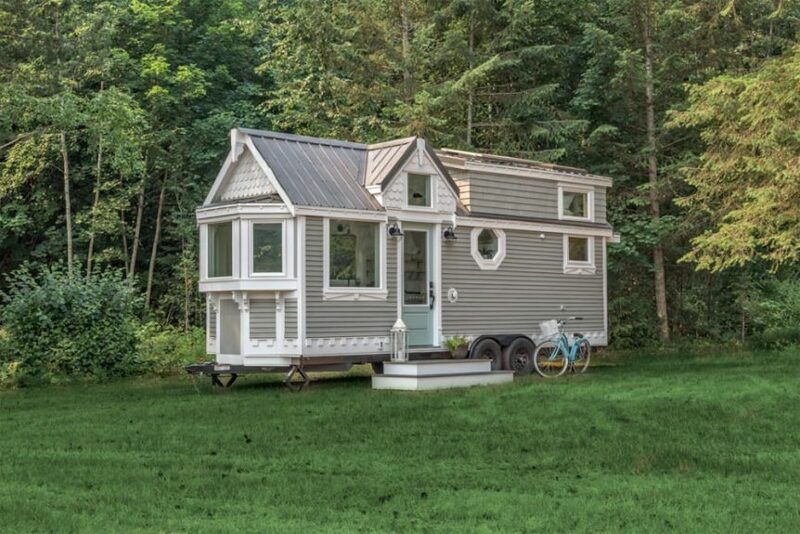 Also available from Summit Tiny Homes: West Coast.